After a fairly long silence following the takeover of its farms by the Government of Ethiopia, Sai Rama Krishna Karuturi, founder and chief managing director of the Indian Karuturi Group (a parent company of Karuturi Agro Products PLC) wrote to Prime Minister Hailemariam Dessalegn that he and his company wish to exit Ethiopia and appealed to the PM that he will be allowed to re-export his farm equipment back to India. In a separate email correspondence with The Reporter, Karuturi also indicated that he has been contemplating legal options to get proper compensation for damages suffered in Ethiopia, possibly holding the state accountable as sovereign entity and two other officials for “illegally nationalized” farms and relinquished investment license. In a four page letter, dated September 20, 2017, which The Reporter has received, Ram Karuturi writes: “We ​​have ​​been ​​struggling ​​to ​​survive ​​in ​​a​​​​hostile ​​&​​ belligerent ​​post ​​Meles​​ era ​​​​for​​ FDI ​​​for the ​​last ​​three years; we ​​stand ​​tired ​​​​and ​​defeated ​​and ​​wish ​​to ​​exit ​​​​Ethiopia ​​as ​​the ​​last ​​nail ​​in ​​the ​​coffin ​​was​​ to unilaterally ​​and ​​illegally ​​cancel ​​our ​​investment ​​and ​​trade ​​license”. Hence, he said, he wants to relinquish his business interests in Ethiopia. However, Karuturi is not about to leave empty-handed; he demanded proper compensation for damages to its business interests in Ethiopia. Although he did not state any amount, he did indicate the value of his initial investment along with details of activities in developing three farmlands in the country. The letter details how he (Karuturi) has reached to a point of no return, driven by frustration and exhaustions in dealing with officials in Ethiopia. Karuturi also recounts how the “illegal nationalization” of his 100,000 hectares of land which his company leased from the Gambella Regional State as well as 4,500 hectares in Bako Tibe Woreda of the Oromia Regional State and another 108 hectares in Holeta town of the same region were taken over by the respective regional governments. Back in 2007, Karuturi entered into an agreement with the government Gambella Regional State and was able to receive 300,000 hectares before the federal government intervened in 2010 to slash the size of his farming interest to 100,000 hectares. Nevertheless, Karuturi claims that it is up on his own request that the size of the farmland was reduced to 100,000 hectares. In any case, the lease contract was canceled by the Ethiopian Agricultural Investment Land Administration Agency under the then Ministry of Agriculture, in 2015. The termination of the lease agreement came into full-force citing Karuturi’s failure to perform and deliver. 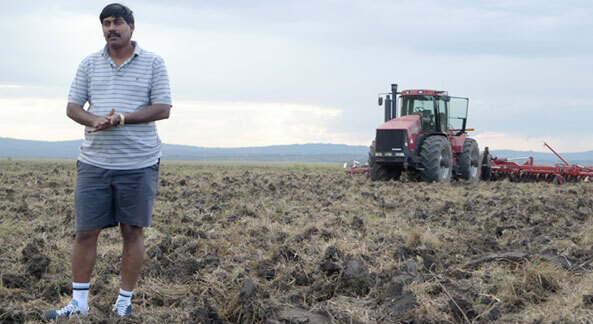 While denying such claims, Karuturi argues that it has developed 30,000 hectares of the total farming interest he held in Ethiopia together with forest clearing work on 35,000 hectares and the construction of 110 kilometers of dike to prevent flooding. In the letter, Karuturi also talked about how the Oromia Regional State denied him of the right to extend the lease agreement for further than 30 years for his horticulture farm located in Holeta town. The reason was that Karuturi was required to pay 11.6 million birr as compensation to farmers who owned the plot before it was offered to him by the government. The regional government considers that his lease agreement resulted in many farmers relocated and that his lease payment is hardly beneficial to them. However, Karuturi argues he paid more than what the market could offer at the time. The drama goes on as he went back to settle the required compensation to farmers. This time, the regional government doubled the amount to 26 million birr and when he refuses the payment, the authorities decided to freeze the property and eventually to transfer it to other potential investors. Similar mishaps were detailed in the letter with regards to the farmland in Bako Tibe. Karuturi contends that, in Bako Tibe, he was provided with the 1980 hectares of land while the authorities demanded that he possesses and utilizes 4,500 hectares. He indicated that some of the articles and clauses which he claims to be in the agreement have breached and violated terms agreed up on by his company and the governmentof Ethiopia. He was also vocal to denounce the role of the Ethiopian National Bank (NBE) for denying him an export permit while “principally approved the acquisition of USD 180 million loans from Indian banks subject to be repaid only from export proceeds”. Claiming to have an investment of USD 75 million and creating 4000 jobs since 2004 in Ethiopia, Rama Karuturi is not only appealing for the release or re-export of its properties but to sue Ethiopian officials he named and referred to as “responsible” for violations of rights of a foreign entity. The government of Ethiopia as a sovereign state is also under the limelight by Karuturi to be sued at international tribunals on the basis of violations of the Bilateral Investment Protection Agreement (BIPA)​​ and ​​Multilateral Investment Guarantee Agreement (MIGA) both India and Ethiopia have signed on. Hence, Karuturi wrote to The Reporter that he appealed to the Indian government to take the Ethiopian government to court on his behalf.